it's smaller than the average Canada Goose (similar in size to the mallards on the pond), with a shortish neck and stubby bill. 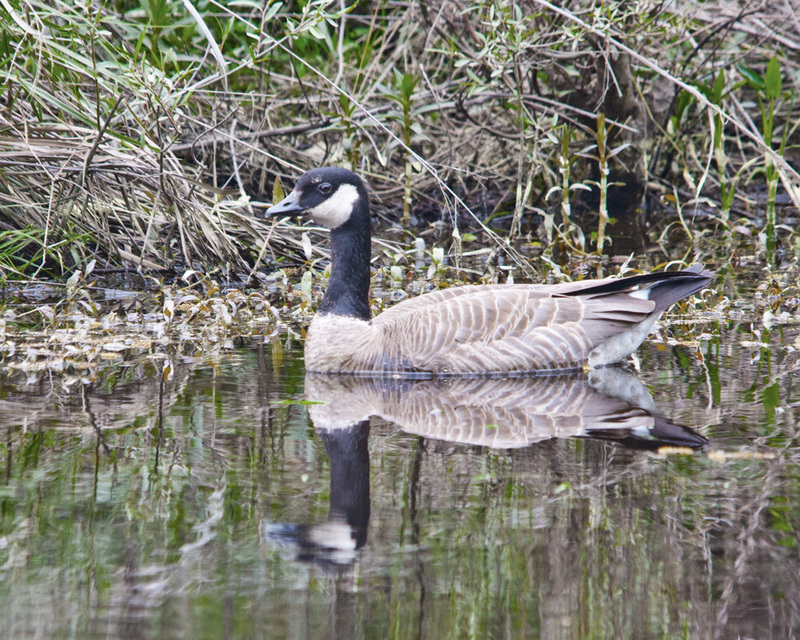 Is it a Cackling Goose? Interesting it kind of looks like a cross between a goose and a duck. I hope he or she is OK.
Looks like a possible "Hutchinsii" subspecies of Cackling Goose which is pretty rare in your area. Pretty intermediate bird in terms of bill and neck length. But smallest Canada Goose subspecies "Parvipes" and largest Cackling Goose "Taverner's" due overlap in size.